Notice there are new claim limits in conciliation court mn. There is a $10,000 limit on all general claims. There is a $4,000 limit on claims that involve credit loss. There is also a $15,000 limit on forfeitures. 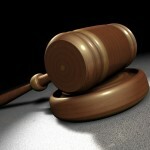 Conciliation court mn is also known as small claims court. You generally do not need a lawyer in conciliation court. It is a simplified process to district court. If you win in conciliation court, it may be your responsibility to collect the payment awarded to you. Collection can often be a difficult process. It is important that before you make your claim in conciliation court, you will want to contact us for a free consultation. The above list includes just some of the cases that are heard in conciliation court. These mainly revolve around debt and property. Again, you may be responsible for collecting payment which can be a daunting task. Schechtman Law Office can provide you with a free consultation for any of your needs. We will get you pointed in the right direction. It is important that you contact us for a free consultation so that can evaluate if conciliation court is right for you. We can provide a free and easy consultation that will let you know if you are heading in the right direction with your legal needs. Our service is fast, friendly and you can not go wrong with a free consultation.